India was invaded around 1500 BCE by a group of people known as the Aryans. They conquered the primary inhabitants of India, who were knows as the Dayus (Sharma 844). The Aryans were comprised of quite different physical and cultural features in contrast to the Dayus; the Aryans were a white race and the Dayus were a dark race (Sharma 846). The primal Indians in the north believed in supreme gods and spirits and never believed in idolatry (Snaitang, 2004). The Aryans spoke a different language, worshipped different gods, and had different cultural practices (Habib 99). Their influence in India was prominent as the majority of Indians today speak and value the Indo-Aryan language and culture (Habib 99). This article will discuss the identity of the Aryans that migrated eastwards into India by examining their culture, language, religious beliefs and how these characteristics intermingled to form the caste system and shape society. The Aryans had a rich culture that still influences India today. The Aryans were primarily warrior-nomadic people and their main source of wealth was cattle (Kosambi 76). However, after the migration into India there was a greater urgency to retain copper, iron ore, and minerals for profits (Kosambi 101). During this time, the head of the household gained respect primarily through trade, manufacturing, or farming (Kosambi 101). The Aryan society was patriarchal and much of the importance was placed on the male, therefore an abundance of Aryan gods were males (Kosambi 76). The women in the Aryan culture were usually housewives and the women were said to be very skilled in weaving (Kosambi 80). In technological advancements, the Aryans were mostly interested in making chariots, tools and weapons and did not concentrate much efforts into building anything else (Kosambi 80). The Aryans annexed various tribes and communities on their journey towards India and were successful because they were nomadic people and their food supply of cattle was easy to transport (Kosambi 76). They had mastered the art of using horse-chariots for war and they also held great knowledge of heavy transportation using ox-carts (Kosambi 76). The male’s communal life consisted of sabha, “denoting both the tribal assembly and its mote hall”, which was for the males only, and featured gambling, fights, chariot races and female dancers (Kosambi 81). The Aryans had a simplistic culture; however, their language was influential and distinctive. The unique language of the Aryans was a key factor in distinguishing them from other races. Aryan is a term that can define a linguistic group, which is a group of people classified as speaking the same language, or can be defined as a race, which is a group of people who comprise of specific and distinct characteristic (Kosambi 72). The prevalent evidence throughout history suggests that Aryan was referred to as a unity of language and people. For example, the emperor Darius refers to himself as an ‘Aryan of Aryan descent’, the Vedas speaks of the Aryans as a race that worshipped the gods mentioned in the Vedas and the Medes, ancient Iranian people, used to bear the name Aryans (Kosambi 75). The language spoken by the Aryans came from the classical Aryan language which is a tree that consists of three important branches. These are Sanskrit, Greek and Latin; Sanskrit being the bearer of the Indo-Aryan Language which was spoken by the Aryans (Kosambi 72). The earlier derivatives of Sanskrit used by the Aryans are called “Pali” or “Magadhi” and “Prakrits” (Kosambi 73). The Dravidians of India, however communicated in their own language which is not a part of the classical Aryan language tree (Kosambi 73). 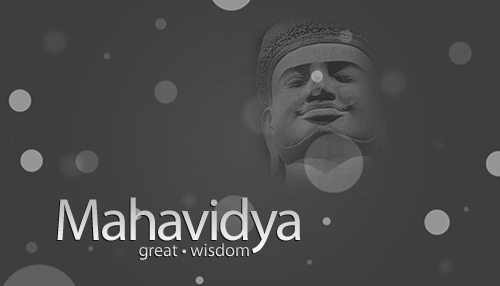 Later on, during the Rigvedic period, Sanskrit was the predominant language. The text and verbal communication were all practiced in Sanskrit (Kosambi 84). The Aryans’ language was very influential, however their religious and social beliefs crafted the way we see India today. The religious beliefs of the Aryans were not heavily enforced, which left them open to influence by other cultures. The Aryans invaded India around 1500 BCE and rivaled against the dark skinned inhibitors of India. The Aryans stamped the dark skinned people as “non-believers” and called them “phallus worshippers” because of the cultural difference between the two races (Kumar 2). The Aryans considered the dark skinned people to be barbarians and emphasized their superiority in the realms of their mentality, physicality, sociality and religiosity (Kumar 2). However the Dravidians, other dark skinned inhabitants of India, were considered to be tolerable by the Aryans (Kumar 2). The Dravidians had their own language and culture, which was not threatened by the Aryans (Kumar 2). The Aryans were religiously open-minded and understood the importance of non-Aryan thoughts and culture, however, they limited themselves to affiliating with cultures they found tolerable or of some importance (Kumar 3). The Upanishads, which are important Aryan religious texts, are described as having “elements of Aryan thoughts as well as non-Aryan thought” (Kumar 42). The incorporation of the Dravidian god Siva into the Vedas can also testify to the tolerant Aryan culture (Kumar 4). The open-minded Aryans also conquered many tribes and communities and made use of any foreign knowledge, as well as uniting the new communities under an Aryan language (Kosambi 77). Religiously, the Aryans recognize the Vedas as their most valued religious text which consists of many hymns dedicated to the Aryan gods (Kosambi 77). The Vedas consist of four different texts which are the Rgveda, Yajurveda, Sasmaveda and Atharvaveda. The two focal Vedic gods depicted are Agni, the god of fire for whom the most verses in the Vedas are dedicated, and Indra, the lord of war and rain who fights the evil daemons and is profoundly known for his indulgence in Soma (Kosambi 79). Other Aryan gods includes the sun god, the creator, the destroyer and many other various gods (Kosambi 79). The Vedas are considered to be part real and part mystical. They depict real life, history, sacrifices and location, while also depicting mystical and spiritual tales (Kosambi 80). The Aryans also believed in sacrifices in order to align themselves with the cosmos which were outlined in the Vedas; some of the sacrifices included the horse sacrifice and the cattle sacrifice (Kosambi 102). The Rgveda talks about important historical events such as the Dasarajna, which is the battle of the ten kings where the Bharatas emerged victorious (Singh 6). The Bharatas are the Rgvedic tribe from which India derived its name Bharat (Singh 6). Other important texts of the Aryans were Samhitas, Barhmanas, Upanishads and Sutras (Singh 13). Hinduism is the fruit that emerged from the complex mixing of the Dravidian culture and the Aryan culture (Wolpert 575). Their deities, epics, religious texts and history merged to form the fundamental pillars of Hinduism (Wolpert 575). Hinduism is further known for the segregation of their society into different classes and castes. The Aryans introduced the caste system to make sure they were prevalent over the other races (Wolpert 575). To create this complex new society in favor of the Aryans, the castes were divided into four classes which were the Brahmins, Ksatriyas, Vaisyas and Sudras (Kosambi 15). The Brahmins consisted of the priestly class who were responsible for the prayers, sacrifices and the people who have a connection with the gods (Sharma 846). They were given the highest respect in the society and carried a sense of authority over other castes. 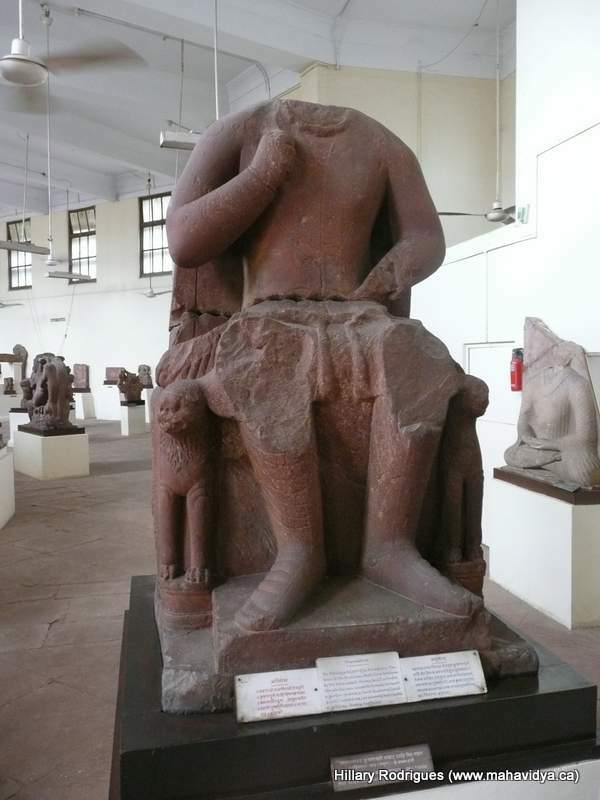 The Ksatriyas were the warriors and they were responsible for the protection of the communities. The Vaisay were the traders and normal commoners. The Sudras were the conquered dark skinned people who were considered the lowest class and given servant like duties such as cleaning, repairs and janitorial works (Sharma 846). Lastly, there were also the untouchables who did not fit into any caste. They were therefore not worthy of interacting with anyone in the caste system which led them to be isolated from society (Sharma 865). The Aryans had an enormous influence in India where the caste system is still prevalent in modern day. The Aryans were the warrior nomadic people that migrated to the Indian subcontinent with their influential culture, religion and language. On further inspection we can see that the Aryan culture played a vital role in sculpting Hinduism by influencing the religion with their epics, texts and religious ideologies. The Aryans mixed with the Dravidians to create the complex religion of Hinduism. The emergence of this religion and the Aryans seeking higher recognition in contrast to the commoners led to the creation of the caste system. The caste system divided the people into various sects who were responsible for different duties within the frameworks of society; such as religious worship, trading, protecting the public and cleaning. Habib, Irfan (2002) A Peoples History of India 2: The Indus Valley Civilization. New Delhi: Tulika Books. Kumar L, Frederick (1991) The Philosophies of India: A New Approach. New York: The Edwin Mellen Press. Kosambi, D. D (1996) The Culture and Civilisation of Ancient India in Historical Outline. New Delhi: Vikas Publishing House PVT LTD.
Sharma, A (2005) Dr. B. R. Ambedkar on the Aryan Invasion and the Emergence of the Caste System in India. Journal Of The American Academy Of Religion, 73(3), 843-870. Wolpert, S (1999) India, the Multicultural Paradigm. Orbis, 43(4), 575. Snaitang, O. L (2004) Asia Journal of Theology; Oct2004, Vol. 18 Issue 2, P398-411. Article written by: Bikky Regmi March (2012) who is responsible for its content. Alexander was born in Macedonia in 356 BCE to Philip II and his wife, Olympias. They belonged to the race of Epeiros and claimed to be descended from the Homeric hero Achilles (M’Crindle 15). Alexander was 20 years old when his father was assassinated at a family wedding. Following his death, Alexander quickly won the support of the Macedonian army and assembly as Philip’s heir (Hamilton 44). [Some believe the Macedonian assembly had the right to elect or depose a king. It is not clear if this is true, but Alexander did address the assembly with the seeming purpose of winning their support (King 384-385)]. Anyone who opposed his authority was quickly executed and he was crowned king of Macedonia in 336 BCE (Freeman 315). During the reign of Philip II, Macedonia had conquered Greece and formed the League of Corinth. Philip was the head of the League, and all Greek city-states, with the exception of Sparta, were forced to join (Freeman 314). When the Greeks heard of Philip’s death, there was widespread dissent and unrest. Alexander reaffirmed Macedonian control of the Greeks in a relatively bloodless campaign during which he was reaffirmed as the leader of the League of Corinth. The Greeks gave Alexander troops and appointed him commander of a campaign of revenge against Persia (Bosworth 28). Alexander’s campaign into Persian began in 334 BCE and lasted until approximately 330 BCE. [Darius III was defeated in the fall of 331 BCE and in 330 BCE, the last great palace of Xerxes was sacked]. It was during this campaign that Alexander travelled to Egypt. The Egyptians welcomed him as a god and proclaimed him the King of Upper and Lower Egypt and the son of Ra (the sun god). It was also during this campaign that he travelled to the oracle of Ammon at Siwah in the Libyan Desert. [Ammon was a local god who was often equated with Zeus]. It is said that the priests at Siwah declared Alexander to be the son of Zeus himself (Freeman 319-322). After the death of Darius III, another man, Bessus claimed to be the heir to the Persian throne. So Alexander crossed the Hindu Kush in 329 BCE to meet him. Bessus was hunted down and executed. This area, Bactria and Sogdiana (modern day Pakistan and Afghanistan), was very unstable and the local leaders resented Alexander’s invasion. The terrain was well suited for guerilla warfare and Alexander spent two years fighting down pockets of resistance (Freeman 325). In 327 BCE, Alexander recrossed the Hindu Kush. He sent half of his phalanx and most of his cavalry under two of his generals, Hephaestion and Perdiccas, through the Khyber Pass to the Indus River to build boats and prepare pontoons (Burn 149; Narain 156). Alexander, with the rest of the army, took a more Northern route through the mountain country of Bajaur and Swat (Bosworth 120-121). Any city that resisted or opposed Alexander was attacked and their men were massacred. At the city of Massaga, 7000 mercenaries were killed by Alexander when they refused to join his armies (Freeman 326; Narain 157). He saw the inhabitants of this area as his subjects and expected instant submission; those who did not submit were killed or enslaved (Bosworth 121). Alexander was wounded in one of these skirmishes. He took an arrow to the shoulder while storming a hill fortress at the beginning of his campaign through the mountain country. When they captured the fortress the next day, Alexander made an example of them. Anyone defending the city that did not escape was killed and the settlement was destroyed (Bosworth 121). The only city spared by Alexander on his journey to the Indus was Nysa. He granted this city their freedom and independence based on their claim that the city was the birthplace of the Greek god Dionysus (Freeman 326). Alexander reached the Indus and met up with the rest of his army almost a year after separating (Bosworth 125; Narain 156). The men who had been sent ahead under Hephaestion and Perdiccas had successfully bridged the river and in 326 BCE Alexander and his army crossed the Indus (Freeman 326; Narain 157). Alexander knew very little about the land he was entering. When he saw crocodiles in the Indus, he thought the river must be the headwaters of the Nile. The men did not understand the caste system of India. They assumed the ksatriya class to be mercenaries, which they were familiar with in the Greek world. Alexander classified the Brahmin class as philosophers and saw them, with their resilient nationalism, as his greatest opponents (Burn 150). Alexander was greeted and welcomed by the ruler of Taxila; when Alexander reached the Indus, gifts from this state were waiting for him. However, it appears that the motive of this ruler was to use Alexander and his army to defeat rival Indian princes to the East (Freeman 326; Arrian 259). One of these princes, Porus, had heard of Alexander’s invasion and mobilized to resist him. He waited for Alexander on the East side of the Hydaspes River (Freeman 326). When Alexander reached the Hydaspes, Porus was on the far side with his army, which included about 200 elephants. The river was swift and high due to the melting snow from the Himalayas and Porus was intent on preventing Alexander from crossing (Burn 152). Alexander, however, was determined to cross. Porus had scouts who kept watch over Alexander’s movements; it was not as simple as just moving up or down the river and crossing, since Porus would hear of the plan long before they could reach the other side. Alexander made it known that he planned to cross the river and that he would wait until the winter (when the river would be fordable) if necessary. He began to collect enough food to supply his army for a long time. He also had his men constantly moving up and down the river threatening to cross. All this movement began to wear down the enemy’s alertness. While this continued, monsoon season arrived. Alexander selected the spot for his actual crossing some seventeen miles away from his main camp. He crossed the river at night during a thunderstorm. His preparations and the weather gave Alexander the time he needed. He was able to get across just in time to form a front against the first of Porus’ troops (Burn 153-154). The battle was extremely hard fought but was one of Alexander’s most crushing victories. His ingenuity in opposing Porus’ elephants was a significant contribution to his victory. The Macedonian infantry shot those driving the elephants and attacked the elephants as they charged. This caused the elephants to retreat back into the infantry lines, trampling anyone in their way (Burn 155-156; Freeman 326). Most of the elephant drivers were killed. The elephants were wounded, bewildered, and angered by fear and pain. They panicked and began attacking those around them. The Macedonians had room to move and maneuver and therefore could avoid the crazed animals. The Indians, however, were relatively boxed in and the elephants became a bigger threat to them than the Macedonians were (Arrian 278-279). As the elephants tired and slowed their charges, Alexander surrounded the remaining Indian army. The Indians suffered terrible losses, but some were able to find a gap in the Macedonian cavalry and flee (Arrian 279). Porus fought bravely to the end. When it was clear that the battle was over, he rode away on his elephant. He was bleeding from a wound on his shoulder and was almost completely alone on the battlefield (Freeman 326). Alexander was deeply impressed with his heroism (Bosworth 130). He sent after Porus and asked him what he would like, and Porus replied that he wished to be treated as a king. Alexander reaffirmed Porus as king and even added further territory to his kingdom (Burn 156-157; M’Crindle 308-309). Alexander wished to continue further into India, but his army was weary from years of campaigning. Furthermore, monsoon season was upon them and they had suffered seventy days of continuous rainfall by the time they reached the Beas River (Freeman 326-327). Here the army mutinied and refused to march any further East. Alexander was upset, but eventually gave in to his men. To preserve his dignity, he offered a sacrifice on the bank of the river and found the omens to be unfavourable. Therefore he announced his decision to continue no further (Narain 159-160). While he may have conceded to continue no further East, Alexander refused to return by the route they had come. They followed the Indus River south until they reached the ocean. Many of the tribes that lived along the Indus River were hostile and their cities were stormed and conquered as the army moved south (Freeman 327). Alexander was nearly killed in one of these conquests against the Malloi tribe. He took an arrow to the chest and for days his men thought he would die. Many believe that this wound severely weakened him and contributed to his early death (Burn 160-162; Narian 160). The army reached the ocean in 325 BCE and then marched west across the Makram desert. It took sixty days to cross the desert and some sources believe that they suffered great losses during this journey. After escaping the desert, the army under Alexander continued on to Persepolis in the heart of the Persian Empire (Freeman 327). Alexander continued to dream of future campaigns, but in 323 BCE, less than two years after returning from India, he was dead. There is debate over the exact cause of his death. Some sources believe his earlier wound played a great role, some think he may have been poisoned, and many simply say that he fell ill (Freeman 327-329). Alexander’s legacy lived on and he became a role model for future leaders. The Romans especially looked up to Alexander (Freeman 331-332). However, not all aspects of Alexander’s campaign were as remarkably successful. Although he went further east than anyone before him, he left no permanent mark in India. His influence and name are not found in Indian literature, life, or government. Some Indian historians argue that while he did campaign into India, he did not meet any of the great nations of the Hindusthan. Some also remark on the unprovoked nature of Alexander’s invasion and the suffering afflicted upon the Indian people (Narian 162). Bosworth, A. B. (1988) Conquest and Empire: The Reign of Alexander the Great. Cambridge: Cambridge University Press. Burn, A. R. (1963) Alexander the Great and the Hellenistic World. London: English University Press Ltd.
Freeman, Charles (2004) Egypt, Greece and Rome: Civilizations of the Ancient Mediterranean (2nd ed). Oxford: Oxford University Press. Hamilton, J. R. (1973) Alexander the Great. London: The Anchor Press Ltd.
King, Carol J. (2010) “Macedonian Kingship and Other Political Institutions.” A Companion to Ancient Macedonia. Edited by Roisman, J and Worthington I. Chichester: Wiley-Blackwell. M’Crindle, J. W. (1816) The Invasion of India by Alexander the Great as Described by Arrian, Q. Curtius, Diodorus, Plutarch and Justin. Westminster: Archibald Constable & Co.
Narain, A. K. (1965) “Alexander and India.” Greece & Rome, 12(2): 155-165. Tarn, W. W. (1948) Alexander the Great: Volume 1 Narrative. Cambridge: Cambridge University Press. Article written by: Raiah Hark (March 2012) who is solely responsible for its content. The medieval period in India is not romanticized period like its European counterpart, but it is nonetheless important for the development of both modern Indian Society and the Hindu religion. Like Europe at the same time, areas of the Indian subcontinent were ruled by dynastic kings, and one of the most influential and important of them is the Cola Dynasty of the Tamil region. The Cola’s conquered almost the entirety of the South of India, using their military to expand their borders. The Cola Dynasty lasted from the 9th century C.E. to the 14th century C.E. and oversaw a period of religious transformation, particularly in the Hindu tradition. One of the most important leaders of the Dynasty was Rajaraja I (r. 985-1017 C.E. ), who was responsible for a great deal of religious change, and was perhaps best known for his temple reforms focused on taking the power away from bhakti temples and placing it in his own sphere of influence (Vasudevan 15). Like so many other kingships throughout the medieval world, power was passed along within the family lineage. The importance of a ruler having a son was therefore intensified in its importance, and the emphasis placed on having a male heir is still seen today (Kaimal 34). In medieval India, kings were especially emphatic about honouring their lineage and any warrior ancestors from whom they had descended. This was done as a way of legitimizing their own power and status as a great warrior, which was necessary of a king (Kaimal, 35). The early Cola kings were no different in this regard, as they focused on making their family and themselves appear to be great warriors and in many ways godlike (Veluthat 30). However, the Cola’s also began to use religion as a way to legitimize their position by financing the construction of temples and using them as places of worship and administration. Temples in the Hindu tradition were steadily gaining importance throughout the first millennium C.E., as Brahmanical Hinduism based around temple worship gained more and more influence (Vasudevan, 13). This was especially true during the reign of Rajaraja I, who sought to bring the focus of worship to his own royal temples and in turn advance his personal prestige and influence. Rajaraja was known as ‘The Great Cola King’ in part because of his impressive usage of temple construction and administration to consolidate his power, and in part because of his successful military exploits. Prior to the rule of Rajaraja, the borders of the Cola kingdom were confined strictly within the Tamil region on the Southern portion of the Indian subcontinent. When Rajaraja came to power, he went about conquering territories both to the North and South of the area he first controlled. He was ultimately quite successful in these military exploits, conquering the Telugu and Kannada regions to the North, and the area known as Ilam to the South (Vasudevan 16). As a result, Rajaraja became renowned as a great conqueror and military strategist who earned the complete loyalty of his soldiers, which helped to further secure his authority and respect of his subjects as a warrior king. The military conquests also gave him a large empire over which he tried to implement uniform administration practices (Vasudevan 43). In order to do this, Rajaraja strategically placed armies and military resources throughout the conquered regions and had them enforce his will and laws. However, this was a costly way to administer an empire, and the Cola king schemed new ways to administer his domain peacefully. The solution to the problem was to build and use temples as both a place of worship and as a place where the king could exercise considerable political power in order to better control his subjects and add to his kingdoms wealth (Vasudevan, 16). This in turn led to a resurgence in large scale temple building spearheaded by the central government of Rajaraja. Such building operations not only allowed for Rajaraja to better control his subjects and earn more prestige, but to be the cause of the further entrenchment of Brahmanical Hinduism in Southern India. During Rajaraja’s reign, the temple became a political and economic centre that functioned in a way similar to a Lordly estate did in Europe at around the same time. Many of the tasks and duties assigned to temples under Rajaraja were similar in nature to those of a Lord to his peasants in a feudal system, though the relationships between priests and commoners were much different. Temples were given land grants by the king or private patrons so they could raise the money needed to run the services they had to provide; this was known as devadana (Vasudevan 62). The temples acted as banks in that they lent money and earned profit on the interest, as well as invested in local business ventures in things such as agriculture and so on. Another duty was to oversee land exchanges and other business transactions. All of these ventures were designed to make the temple money, and since Rajaraja sponsored so many, much of the profit from these royal temples went straight back to the crown. On top of these duties temples already had in the community under Rajaraja, they also acted as his personal tax collectors, with the Great Royal Temples like Rajarajesvaram acting as the feudal-like lord of multiple villages (Vasudevan 62). In this regard Temples played a key role in the day to day affairs and running of the Cola kingdom during the rule of Rajaraja. While temples functioned as the economic and political centres of a given area, they also served their purpose as places of religious worship as well. In the temples, Brahmin priests performed the rituals they were requested of upon payment to those who qualified via their class or jati. This is a relatively obvious function for a religious temple, though what particular god was focused on individual temples was varied. For example, in the very large royal temple of Rajarajesvaram, which was built by Rajaraja, Siva appears to be the most commonly worshipped god (Schwindler 163). Hindu deities appear all over the temple in carvings and sculptures, but Siva is depicted the most and in the most prominent places. This could be partly due to Siva’s high place in the pantheon, but it is equally likely that this was done because of the parallel between Siva being a great warrior and Rajaraja also being a great warrior, or at the least wishing to be portrayed like one (Schwindler 164). At this location, an inscription on a done at the behest of the king recorded all of the individuals in the temple’s employ. In total, there were over seven hundred people on the payroll of the temple; some for religious purposes and others to take care of the temple’s other duties (Vanamamalai 27). It has been thought that this temple was built by Rajaraja in dedication to Siva, using the arts as a means to draw people to the temple (Vanamamalai 27). Siva worship was therefore obviously an important aspect to the rule of Rajaraja, as was the recording of any business transactions in which the temple was involved. In conclusion, the rule of Rajaraja I was complex and important to the history of India and the Hindu tradition. ‘The Great Cola King’ ushered in an era of prosperity for his kingdom and became a renowned figure in the history of India. He was able to vastly increase the size of his kingdom and give himself an empire by conquering vast areas of lands to the North and South, essentially stretching the Cola’s borders from sea to sea. Rajaraja was able to accomplish this through brilliant military strategy and commanding the complete loyalty of his armies, creating himself into an all important great warrior king like his ancestors before him. He was also a skilled politician and ruled his domain extremely well through both the use of occupational military forces and temples. Temples under Rajaraja were the major centres of the kingdom, responsible for most social, economic and political duties in a given region. This extension of temples as a form of power for the king led to the mass building of royally funded and patronized temples, the most magnificent being Rajarajesvaram. 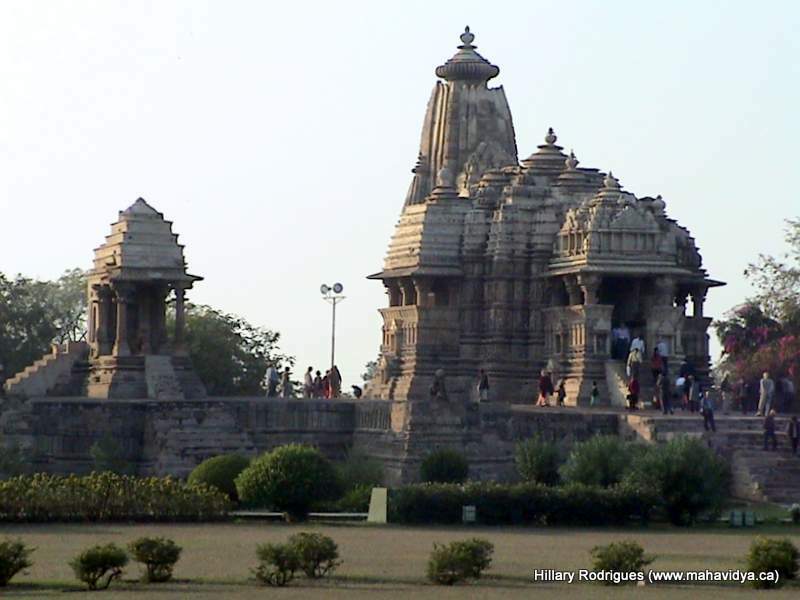 The new temples were used to bring power to the king at the expense of public, or bhakti temples. Siva worship was very important in these new temples, as it drew a comparison between the Siva as a great warrior and Rajaraja as a great warrior king. All in all, the system created by Rajaraja I to administer his kingdom was complex and important to the development of the Hindu tradition in Southern India. Kaimal, Padma (1996) “Early Cola Kings and “Early Cola Temples”: Art and the Evolution of Kingship”, Artibus Asiae , Vol. 56, No. 1/2, pp. 33-66. Schwindler, Gary J. (1987) “Speculations on the Theme of Śiva as Tripurāntaka as It Appears during the Reign of Rājarāja I in the Tanjore Area ca. A.D. 1000”, Ars Orientalis , Vol. 17, pp. 163-178. Vanamamalai, N. (19754) “State and Religion in the Chola Empire: Taxation for Thanjavur Temple’s Music and Dance”, Social Scientist , Vol. 3, No. 3, pp. 26-42. Vasudevan, Geeta (2003) The Royal Temple of Rajaraja : An Instrument of Imperial Cola Power. New Delhi: Abhinav Publications. Veluthat, Kesavan (1993) “Religious Symbols in Political Legitimation: The Case of Early Medieval South India”, Social Scientist , Vol. 21, No. 1/2, pp. 23-33. Maloney, Clarence (1970) “The Beginnings of Civilization in South India”, The Journal of Asian Studies , Vol. 29, No. 3, pp. 603-616. Sewell, Robert (1883) A sketch of the dynasties of Southern India. Oxford: Government Press. Article written by Greg Blow (Spring 2012), who is solely responsible for its content. The Pandyan Empire started around the 6th century and ended around the 15th century. It extended from the Southern Vellaru river, to the North down to Cape Comorin, and from the Coromandel Coast on the East to the Achchhankovil Pass leading into Southern Kerala, or Travancore. The modern districts of Madurai, Tinnevelly and parts of the Travancore State were parts of the Pandyan Kingdom (Smith 206). The Pandyan dynasty started out ruling from the city of Korkai but in later times they moved to the city of Madurai, which is known as the capital city. The Pandyan Empire was one of three ancient Tamil states in southern India. The other two states were the Chola and Chera. The three southern states were constantly in turmoil and confrontation, and there were many wars between them. Tamil literature contains indications that the kings of the Pandyan Empire were looked upon as bloodthirsty. The literature contains hints of massacres with cannibal feasts after the battle (Basham 63). The Pandyan dynasty was in power three separate times. The never-ending wars and revolutions did not bring about any development of political organizations. No republics were formed and no free towns were established. All the states continued to be governed by dictatorial kings, each of whom could do what he pleased, so long as he was in power. The Dravidian religion and social customs differed from those of northern India. Religious ideas from northern India, such as the worship of the Vedic gods and the doctrines of Buddhism and Jainism, were known to the people of the south. Few people followed these religions, most people still worshipped their gods and goddesses and practised their own religious ceremonies (Chander 12). The caste system of Brahman, Kshatriya, Vaisya, and Sudra was very foreign to the southern states. The Jains of the Pandyan Kingdom suffered great persecution. Kuna Sundra, who was also known as Nedumaran Pandya was particularly tyrannical. He was originally a Jain, however, he converted to Saivism by a Chola queen. Those that refused to follow his example and convert to Saivism were persecuted greatly. Kuna Sundra signalled his change of creed by outrages on the Jains. Tradition claims that eight thousand Jains were impaled. To this day the Hindus of Madurai, where the tragedy took place, commemorate the anniversary of the impalement of the Jains as a festival known as Utsava (Smith 214,215). Jatavarman Sundara Pandyan was a Pandyan king, who ruled regions of South India between 1250-1268. Under his rule the Pandyan empire rose to the peak of its power (Sastri 1972:195). Jatavarman Sundra Pandyan had many conquests; he participated in wars against the Cheras, Cholas, Hoysalas, Kadavas, and Sri Lanka. He sent an expedition north where he defeated many armies. He was succeeded by Maravarman Kulasekara Pandyan I in 1268 and died in 1271. Some chiefs of the Pandyan Empire were even said to have participated in the battle at Kurukshetra, known as the Great War in the Mahabharata (Thapar 233). Some scholars believe that the Great War spoken of in the Mahabarata took place 2000 years later than the date in the Epic. Some scholars believe that the Pandyas took part in this war and they sided with the Pandavas, helping the Pandavas defeat the Kauravas. Other scholars believe this claim to be absurd due to the fact that the Pandavas and Kauravas were in the North and it the Great War only concerned a small area in the South (Smith 31). Trade occurred between the Egyptians and the Pandyan Empire. We hear of a mission to Augustus from King Pandion, the Pandya king of Madurai in the far south (Smith 143). During the first and second centuries of the Christian era the trade between southern India and the Roman empire was extensive. Korkai and Algankulam are recently excavated sites, thought to have been exchange centres in Pandyan territory. The horse trade was of considerable political importance and a good part of the revenues went towards the purchase of horses for the king and the army. Marco Polo says: “Here are no horses bred; and thus a great part of the wealth of the country is wasted in purchasing horses” (Sastri 1972:192). The Pandyan territory has long been famous for its pearls. Marco Polo, on his visit to the Pandyan territory, said this about the pearls. “In his kingdom they find very fine and great pearls.” The king benefited greatly from the pearl fishery and demanded a tenth of all pearls (Sastri 1972:194). Marco Polo’s visit to the Pandyan territory gives a great view of what life was like in the territory. He described in great detail what the king’s life was like. The king had a great deal of treasure and all the best pearls in his territory. Marco Polo speaks of the jewelry that the king wears. He says: “…has a necklace entirely of precious stones, rubies, sapphires, and emeralds… fine silk thread strung with 108 large pearls and rubies… three gold bracelets thickly set with pearls of great value, anklets and toe rings of this such as well… what the king wears is worth more than a city’s ransom…” (Sastri 1972:195-196). Marco Polo was amazed at the dress of the common people for everybody walked around naked with only loin cloths. He noticed that all the people do this. Men and women, rich and poor, even the king himself. Commoners are also claimed to have spread cow dung on their houses. Dried cow dung is a great plaster for houses and it is also odorless. Another aspect of the common peoples’ lives was the custom of rubbing cow-dung all over their houses. Marco Polo goes on to give great detail of other aspects of common peoples’ everyday social life. He mentions that everyone washes their body two times every day. They only use their right hand when eating, and on no account touch their food with their left hand. Every person drinks from their own drinking vessel and when they drink they don’t let the vessel touch their lips. They have strict laws when it comes to abstaining from wine. If a debtor can’t pay back his creditor and keeps making incomplete promises, and the creditor can draw a circle around the debtor, then the debtor cannot leave that circle until the debt is paid. If he does then he is punished with death (Sastri 1972:197-198). Basham, A.L. (1968) The Wonder that was India: a Survey of the History and Culture of the Indian Sub-continent Before the Coming of the Muslims. New York: Taplinger Pub. Co.
Chandler, Prakesh (2003) India: Past and Present. New Delhi: APH Publishing Corporation. Eaton, Richard (2003) India’s Islamic Traditions, 711-1750. New Delhi: Toronto: Oxford University Press. Nilakanta Sastri K. A. (1955) A History of South India. India, Oxford University Press. Nilakanta Sastri K. A. (1972) The Pandyan Kingdom; From the Earliest Times to the Sixteenth Century. Madras: Swathi Publications. Sewell, Robert (1883) A Sketch of the Dynasties of Southern India. Madras: E. Keys, at the Government Press. Thapar, Romila (2002) Early India: From the Origins to AD 1300. Berkeley, California: University of California Press. Article written by: Jeff Redford (April 2010) who is solely responsible for its content. The Chola Dynasty was a Tamil dynasty that flourished from the 9th century through the 13th century. The bhakti period, starting in the 14th century, saw the rise of temples built for principal gods and a decline in Jainism and Buddhism. Not only does the Hindu temple bring communities together with religion, but it also has social, economic and political affects. The Pallava kings were the first to build stone temples in the Tamil country and were defeated by the Chola dynasty in the 8th century. (Vasudevan 10-20). The Chola empire extended its power over the whole of South India from each coast. In the north, the empire stretched to the Tungabhadra river, and far south, even to include Sri Lanka for a short time. During expansions, the Chola kings established a Tamil culture over the controlled regions and introduced Brahmanical rituals in the temples. Many kings of the Chola dynasty would build several temples and even rebuilt existing temples in stone. Atitya I (r. 871-907 CE) was one of the earliest conquering kings in the Chola Empire and brought gold back from his conquests of the Kaveri river valley. This gold was used to rebuild a gold shingled roof on the Cit Sabha in Cidambaram, which was then adopted as the family temple for the Chola kings (Younger 16-17). Credit is given to Atitya’s son, Parantaka I (r. 907-55 CE), who was next in line and completed this monumental task of putting the gold on the temple’s roof (Younger 94). This temple complex is known as the Siva Nataraja and is the only Hindu temple that contains Siva in his dancing form (Younger 1). Temples began to receive more financial resources and started to become a redistribution centre of wealth and services. The greatest period for the dynasty began in 985 CE with the rise of Rajaraja I (r. 985-1017 CE) to the throne. Rajaraja I wanted to change the focus of worship from Cidambaram to his own royal temple. Rajaraja’s reign was followed by his son Rajendra I (r.1012-44 CE), who would help complete the conquests of his father. During the reign of Rajaraja I, the great temple, Rajarajesvara, was constructed near the king’s palace in Tanjavur, the new capital of the Chola kingdom. Rajaraja used this temple to help control the empire and as a political tool to demonstrate the power and authority of the Chola kingdom. The temple was built in 1010 CE and is almost 200 feet high. (see Lippe 29-36). These Hindu temples became an institution to unite different regions and cultures. When the reign of Rajaraja ended, the empire had no successor and a period of chaos occurred. A Calukyan ruler from Central India seized the throne and took the name Kulottunka I. Under Kulottunka’s reign a general in his army by the name Naralokaviran began a rebuilding program at Cidambaram. This included constructing two gateway towers, an inner wall around the central shrine, expanding the temple of the goddess Sivakamacuntari, adding stairs and porches to the water tank, building of the main outer wall and the addition of other doorways and golden vessels for ritual use (Younger 100). Vikrama (r. 1118-33 CE), Kulottunka’s son wanted to take credit for the construction at Citamparam and in 1118 CE attended the rededication of the temple. Kulottunka II (r. 1133-50 CE) became a strong supporter of Citamparam and did not allow any inscription carvings in the temple (Younger 100-110). Temples in Southern India host two different types of worship. The everyday worship is carried out by priests who have a defined ritual pattern. The other type of worship is seen during festivals when huge crowds gather in the courtyards and the deities are carried around the streets. The deities leave the temple to be entertained, bathed and honored by their worshipers (Younger 48). In Tirukkovalur, a Vaisnavite temple is at its center and the rest of the town is built around it. The temple was rebuilt and an additional wall was added in the eleventh century (Heitzman 802). A large number of workers were employed including drummers, dancers, and musicians. These workers had an income to support their family but were not granted a high status because their work seemed demeaning (Younger 50). 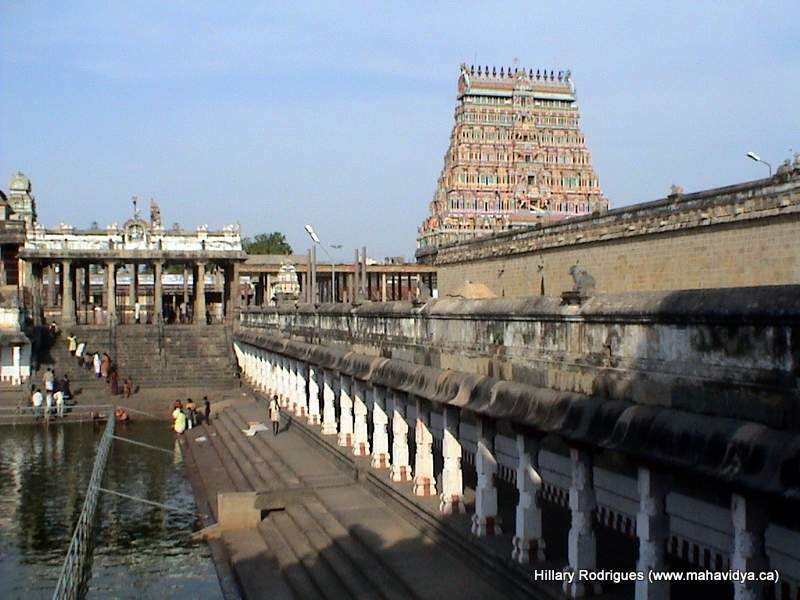 The Cidambaram temple complex contains four major shrines as well as ten minor shrines. The shrine of Lord Natarajan is at the heart of the temple followed by the shrine to the goddess Sivakamacuntari. The temple of Murukan, the Mulastana temple and the Deva Sabha are the other three major temples in the complex. Priests and assistants are present each day to complete the daily feeding, bathing and pray to for the deities that are found in the major and minor temples (Younger 24-30). Markali Tiruvaturai is the great festival that occurs in Cidambaram, which corresponds with the winter solstice. This time is considered a dangerous time and Indian astrology considers it inauspicious. The major event occurs during the morning of the tenth day when the deities are taken out of their shrines to be bathed in a ritual procedure involving priests and worshipers. Another event is the daily reading of the Tiruvempavai [hymn of Manikkavacakar] which celebrates the daily bathing that the women and girls do in the morning during the festival month. Before the festival begins, the Ditcitar priests prepare clothes for the deities to wear and perform special prayers to Vinayakan who is responsible for auspicious events. The name of a priest is drawn out of a pot (by a child) and will become the head priest for the festival. During the first day of the festival a flag is raised to signify the beginning of the celebrations. The flag is a forty yard long white cloth that has a picture of an ox and a trident. A procession with the head priest riding an elephant and the temple musicians playing behind him occurs through the corridors to the priest home. Worshipers in the streets bow to him and place garlands around his head. The temple musicians then participate in a preparation ceremony as the head priest brings out a special brass drum from the sanctum that was donated by the bull, Nandi, who is Siva’s vehicle and gate keeper. A drummer is selected to perform a special concert with an unusual beat that is connected with this sacred drum. To finish the day, a concert is put on for the five deities who are brought out from the temple. After the concert the priests chant to the nine gods for protection during the festival. The middle days of the festival have similar structure with processions in the morning and evening with a different theme each day. A third procession is placed in on the eighth day in which the beggar form of Siva is worshipped (Younger 54-74). When the deities are brought out of their temples, there are three major events that occur. The chariot pull, the bathing ritual and the Royal Audience on the tenth day. During the chariot pull, worshipers pull the statues of the deities down the streets. Because of poorly constructed chariots and muddy roads, these chariots can sometime get stuck in the streets. The holiest moment occurs on the tenth day at 4 A.M. when the Dancing God and goddess images are bathed with water, milk, curd, honey, sugarcane juice, lemon water and coconut water by the head priest. Mantras are spoken as each of the liquids is poured on the images, with Lord Natarajan being bathed first. The images are then covered with garlands and perfumes after which they are bathed using apple juice, grape juice and rose water. The most auspicious moment occurs when water brought from the Ganges River and is poured over the statues. The final bath occurs in sandal paste water, composed of ground up sandalwood, and afterwards worshipers try to receive a drop of the precious liquids the priests begin to hand out (Younger 54-74). The Royal Audience is the event which brings the festival to a close. Worshipers line up for a blessing but many are turned away. People are selected to help push the images of the deities back into their shrines (Younger 60-70). 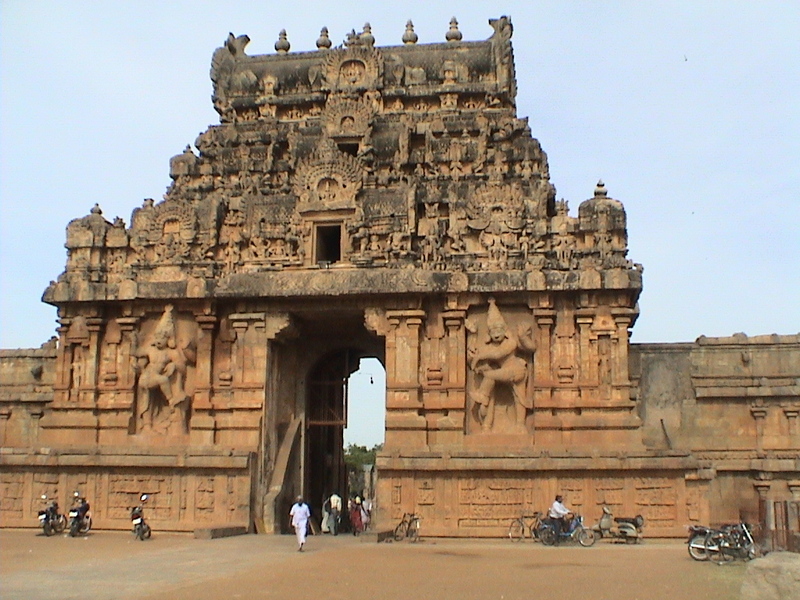 The Citamparam temple became a showcase of the Chola kings and their imperial status. Though Rajaraja I and Rajendra I tried to develop their own temples away from Citamparam, the later Chola kings spent much of their time at the Citamparam temple complex (Younger 233-35). Heitzman, James (1987) “Temple Urbanism in Medieval South India”, The Journal of Asian Studies, Vol. 46, No. 4, pp. 791-826. Kaimal, Padma (1996) “Early Cola Kings and Early Cola Temples: Art and the Evolution of Kingship”, Artibus Asiae, Vol. 56, pp. 33-66. Lippe, Aschwin (1971) “Divine Images in Stone and Bronze: South India, Chola Dynasty (c. 850-1280)”, Metropolitan Museum Journal, Vol. 4, pp. 29-79. Vasudevan, Geeta (2003) The Royal Temple of Rajaraja. New Delhi: D.K. Fine Art Press. Younger, Paul (1995) The Home of Dancing Sivan. Oxford: Oxford University Press. Article written by: Matthew Miller (April 2010) who is solely responsible for its content.